Much like our idea of Jamaica, this cover and title is just a front. The dialog is written in thick Jamaican dialect but captures the troubles that lie beyond the resort walls in Montego Bay-- the extreme poverty and religious intolerance that runs throughout. 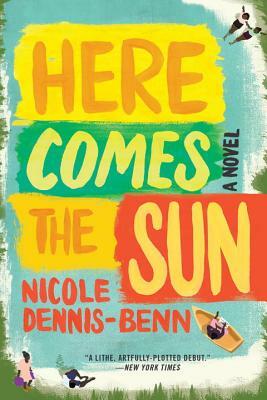 A heavy family drama that is full of twists and turns that make Here Comes the Sun read a lot like a play.